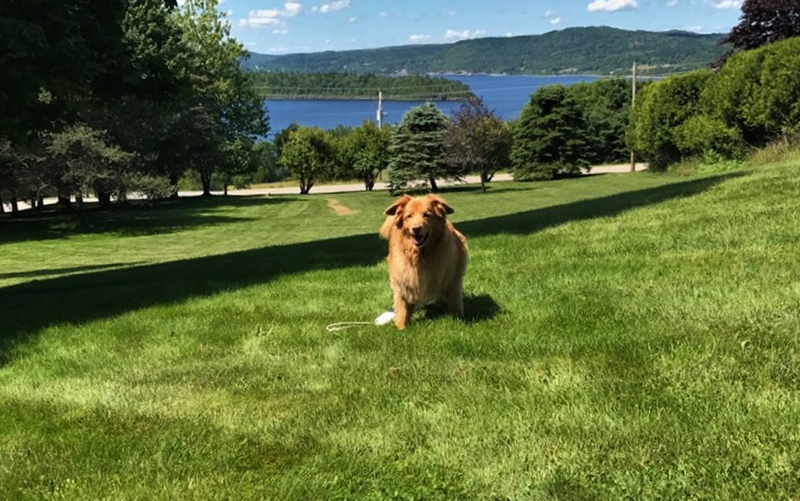 Lawn Care at its’ Best!…… Here’s Why…..
“OrganiCare”…. Leading the Industry! Our industry leading lawn care programs have been developed over decades of research and experience! Organic Based Fertilizer – Better for the turf and the ecosystem! Leaders in IPM (Integrated Pest Management) Services– We wrote the book…pterally! More for Less! Our programs include more services for the same price as most competitor programs. More Service! Results Guaranteed! Highly trained and certified IPM Technicians along with the most comprehensive service agreement and guarantee available! More Savings! Partner with us and receive huge savings on our lawn care services! Join our “Urban Roots Club” and receive even more savings! *IPM (Integrated Pest Management) Pest Control services include weed control in the spring and fall using selective weed control methods according to provincial IPM regulations. IPM Pest Control also includes insect control (if necessary) for surface feeding insects (ex. chinch bug). Pest monitoring and control treatments are performed (if necessary) with each scheduled program visit. Additional visits may be required based on pest conditions in a particular season. Sub-surface insect pests (ex. grubs) are not included in the IPM Pest Control program but may also be treated under a provincial provisional permit basis for an added fee. 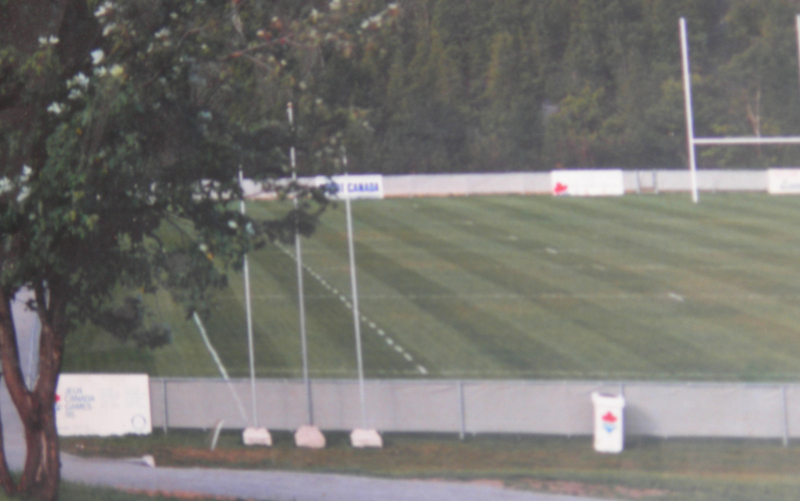 Our story starts back in 1983 with Gordon Callon, groundskeeper from Riverside Country Club, in what is now Rothesay, N.B. 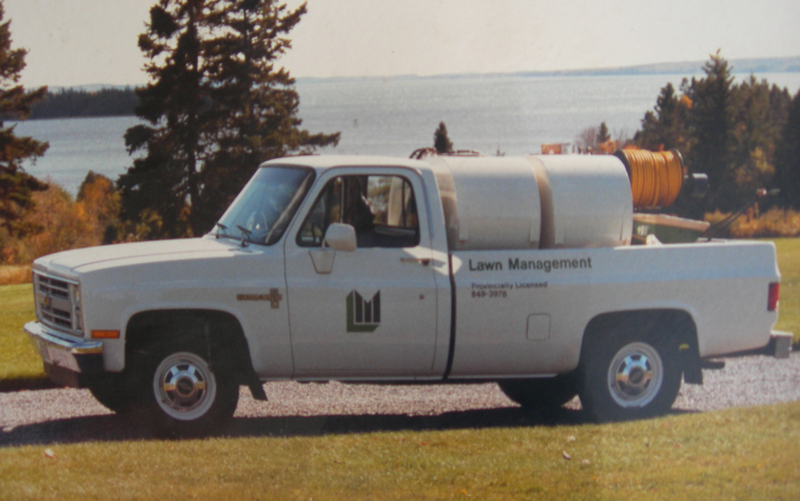 That year, Gordon, as he was known, started a company called “Lawn Management”, the first fully dedicated lawn care company in New Brunswick. Lawn Management was known as the industry leader and the local authority in turf management and as lawn care specialists, had the best products and services available in its day. In the early 1990’s, Urban Landscaping Ltd. developed a relationship with Lawn Management and sub-contracted its services for their own maintenance customers. 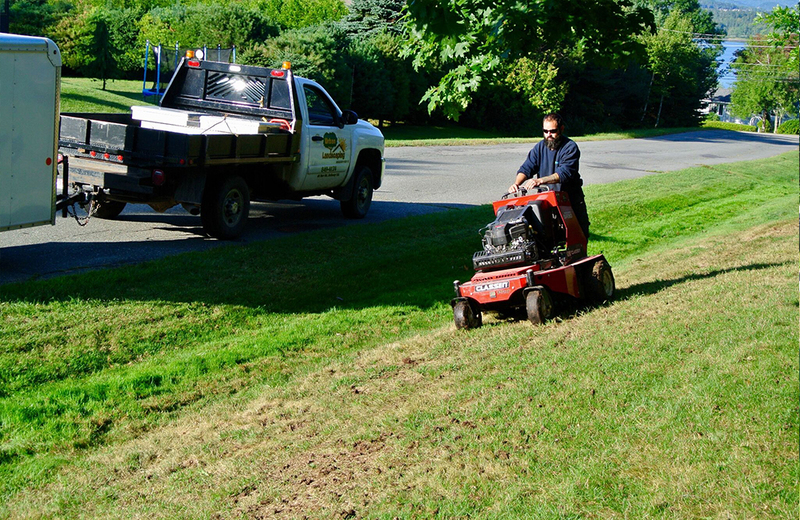 By 1996, Urban Landscaping Ltd. had purchased Lawn Management and further grew the company while expanding its service offerings to include organic and organic based lawn care options. 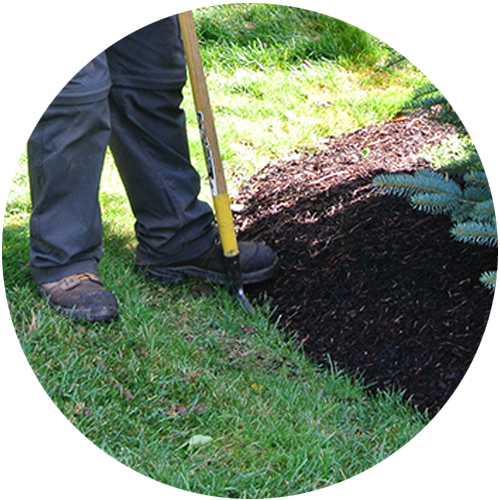 Urban Landscaping Ltd. was the first company in New Brunswick to introduce IPM (Integrated Pest Management) service options for its customers. Neil Pond, owner of Urban Landscaping Ltd., had a strong background in horticulture and agronomy. 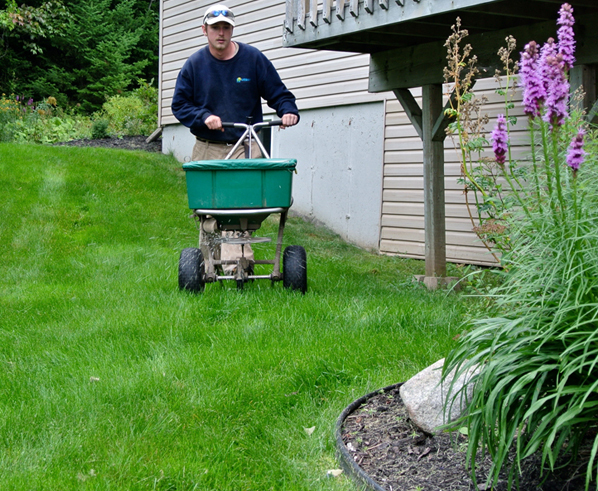 He put these skills to work and over the years and developed what we know today as “OrganiCare”, New Brunswick’s first organic based lawn care service. Today, OrganiCare is an industry leading program like no other! OrgainCare uses customized formulations of organic based fertilizers designed specifically for New Brunswick turf growing conditions. Unlike conventional fertilizers, OrganiCare’s organic based fertilizers are designed not only to feed the turfgrass directly, but also to enhance the existing soil ecology. OrganiCare services improve the natural fertility of the soil and increase the ability of the turfgrass to resist environmental stress and pests. Organic based fertilizers can have a positive impact on lawns that are under a significant amount of environmental stress such as drought. They enable the turf to better tolerate these conditions and to recover more quickly from such conditions. Organic based fertilizers can also increase turfgrass resistance to insect pests by stimulating the soil biology to limit pest populations. OrganiCare is truly a “Win Win!”- Safer for your lawn, children, pets, and the environment! In the late 1990’s, Neil Pond expanded the organic based services to include what we know today as IPM (Integrated Pest Management). 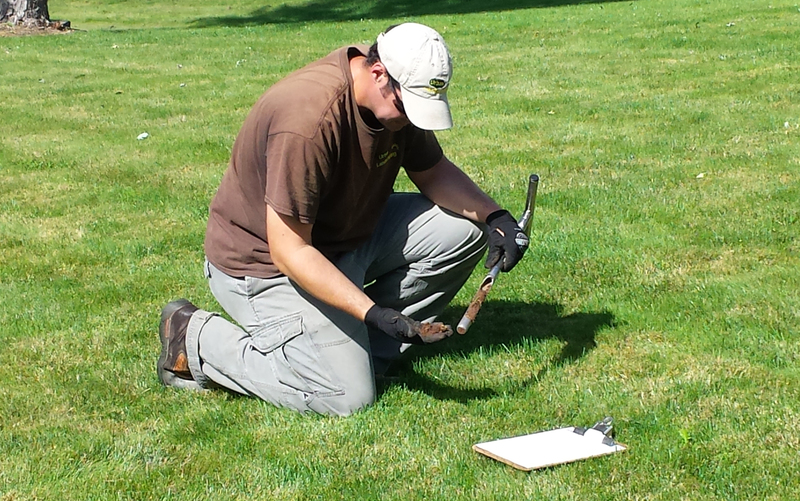 Through years of experimentation and trials, Neil used his agronomy skills to pioneer and develop IPM techniques that are now widely used and adopted by the lawn care industry. As chair of the Environment Committee of Landscape New Brunswick (Horticultural Trades Association), Neil helped develop an IPM Accreditation program for the lawn care industry in the Atlantic Region. 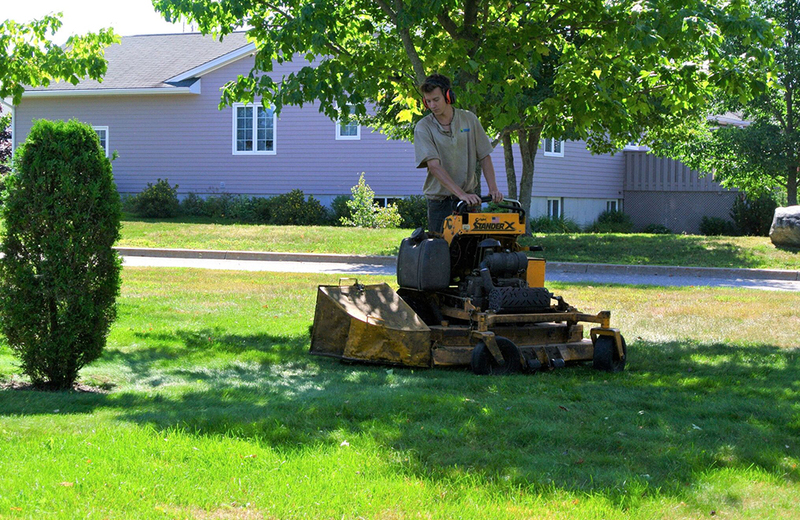 Urban Landscaping Ltd. was the first IPM Accredited lawn care service provider in Atlantic Canada and Neil was successful in having the IPM Accreditation program ratified and endorsed by the Province of New Brunswick as a mandatory operating standard for lawn care companies in New Brunswick. 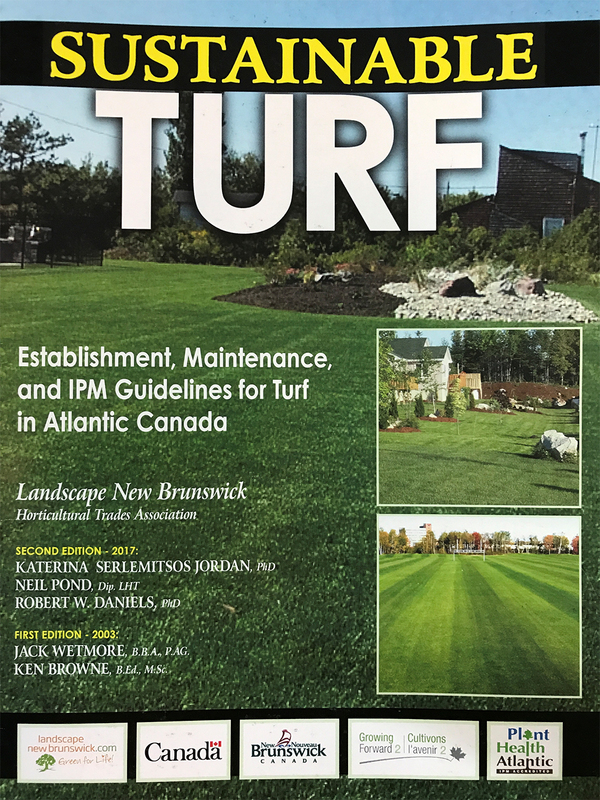 In 2017, Neil completed a three year task of writing a training manual for the lawn care industry in Atlantic Canada called “Sustainable Turf”, second edition. Neil participated in the development of the first edition published in 2003 and is one of the main authors of the second edition which is the training standard for IPM Accreditation and certification here in New Brunswick. Urban Lawn Care – We wrote the book on lawn care and IPM…literally! Our programs include more services for the same price as most competitor programs. 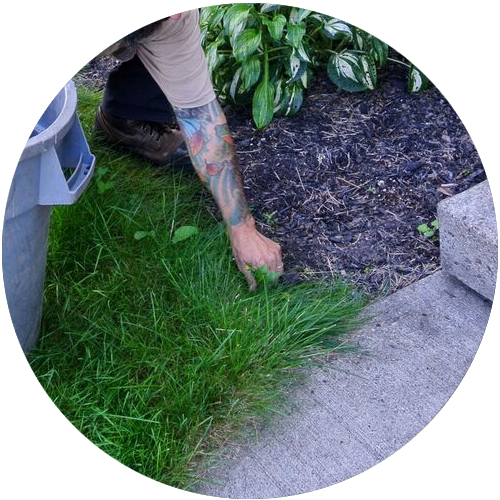 With Urban Lawn Care’s OrganiCare programs, you receive a full season “fertility program” plus a full season of IPM pest control (except for the pesticide free option). Many competitor programs sell you applications that you are forced to pick and choose which pest controls you need. 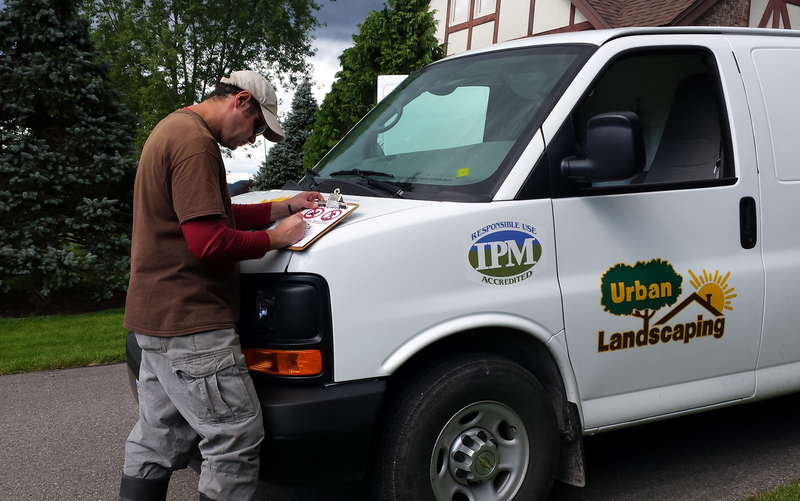 At Urban Lawn Care, we offer them all in one simple option called “IPM Pest Control”. Don’t be fooled by the number of services or visits with other programs and trust that you are being covered when you choose OrganiCare! 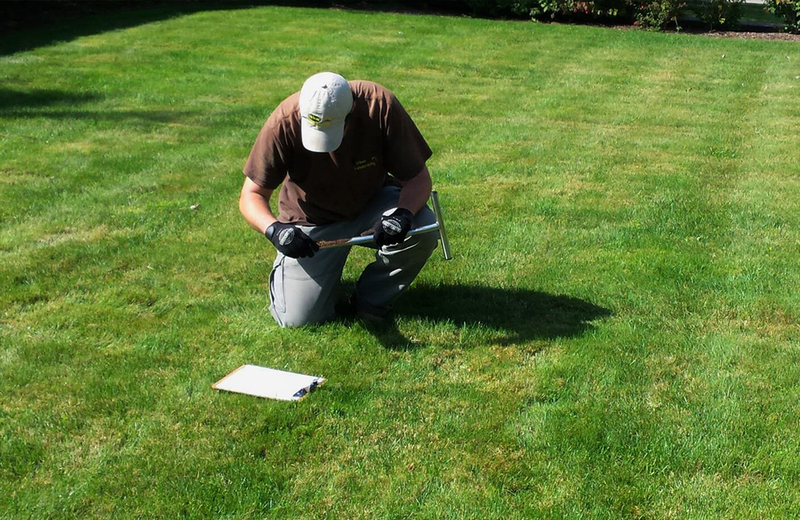 At Urban Lawn Care, we follow an IPM “Code of Practice” that ensures that pesticides will only be used when absolutely necessary and in accordance with IPM principles and operating guidelines. We do not sell you applications of insect control and broadleaf weed control, but rather provide monitoring and treatment services throughout the year so that you can rest assured that you are being looked after. You will be informed and advised of pest issues as we inspect and monitor your property during each visit. We are not in the business of selling you pest control treatments but rather offering you a professional service of IPM. Service Agreement: clearly spells out our services and our responsibility to you, our customer and partner in your property care. For each person that you refer who signs up for an Organicare Program, both you and the referral customer will reap a multitude of benefits. More details soon! Keep our sign on your lawn between each service visit and you will be entered into our monthly and end of season grand prize draw! We will install a sign on your lawn on the initial service visit. On subsequent visits, we will check to see that the lawn sign is still present. We will replace any damaged or deteriorated signs as needed during subsequent visits. We will record sign attendance during each visit and enter you into our monthly draws accordingly. Receive a 10% Off discount card from Urban Landscaping when you become an “Urban Roots Club” member. Use the discount card to put against any additional landscaping or maintenance services. Use the discount card to put toward future maintenance services for the upcoming season. *Please contact our office for more details on Urban Roots Club maintenance service eligibility details. 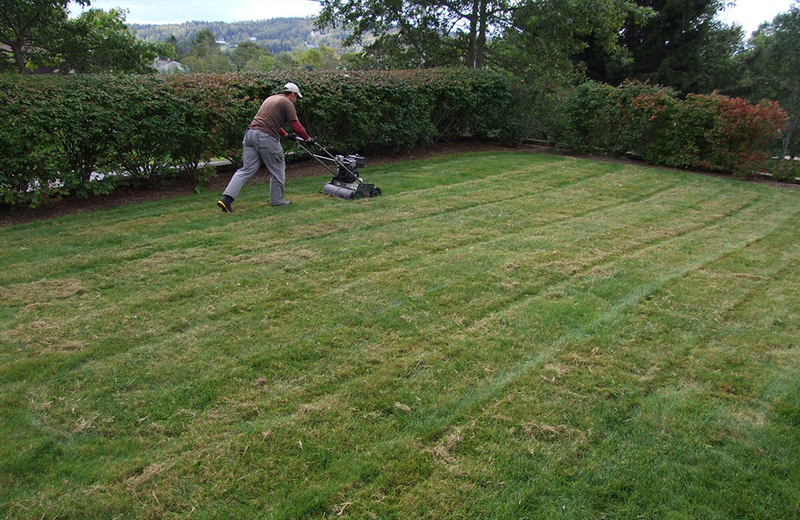 A healthy, green lawn has a lot to do with how it is mowed. So, who better to mow for you than the lawn care experts of Urban Landscaping! Our once per week visits will ensure your lawn is cut at an appropriate length (2.5”-3.5”), edges around shrub beds, trees, etc. are line-trimmed and clippings are bagged or blown to keep your property looking well manicured. CORE AERATION – (Spring / Fall) Perforates through the thatch layer, removes soil plugs and allows for improved water, oxygen and nutrient percolation into the root zone. Also reduces soil compaction and thatch. 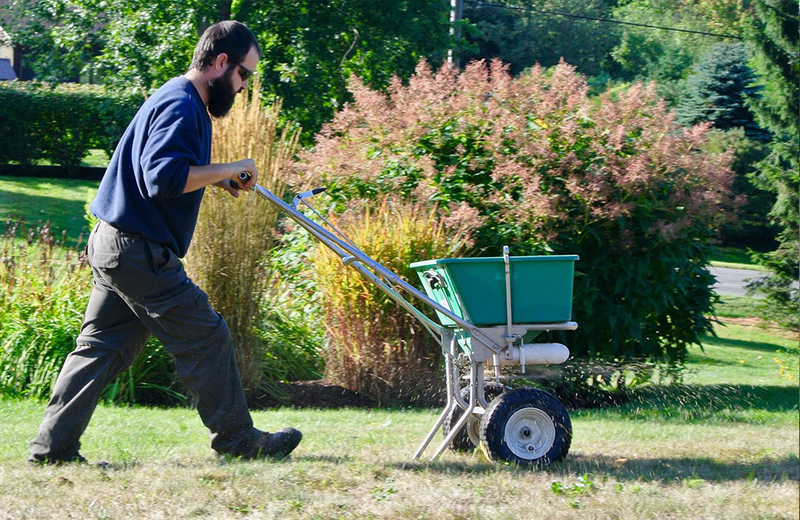 OVERSEEDING & TOPDRESING – Overseeing is the addition of new and improved turf varieties to your lawn for better pest resistance and to thicken lawn. Topdressing is the application of “pelletized compost” to enrich soil, enhance the natural soil biology, improve moisture retention, and improve the natural fertility of the soil. 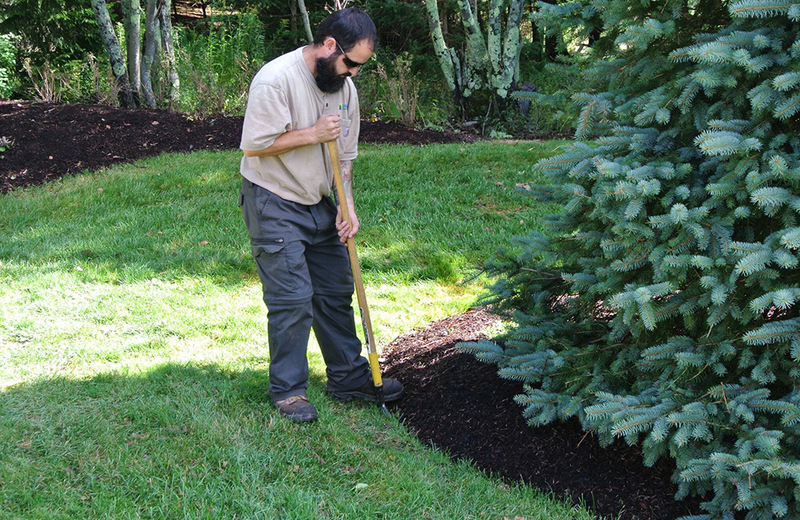 Together they fill in thin or bare areas caused by winterkill, drought, chinch bugs or shade. 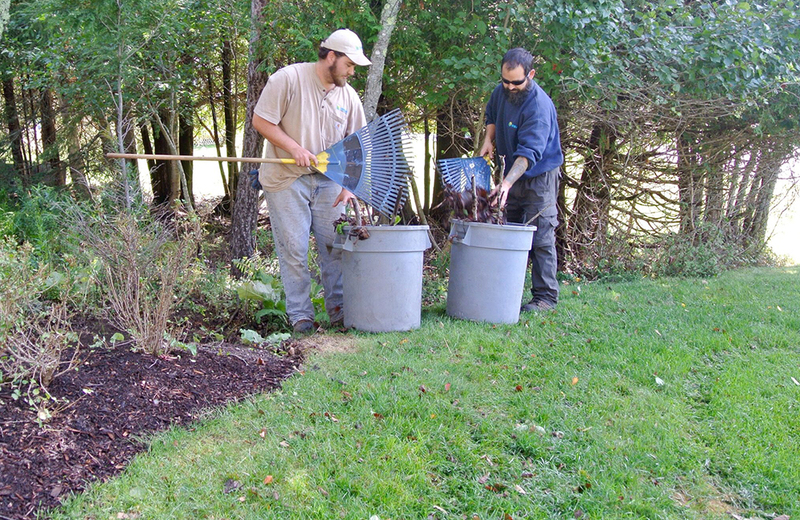 Our Spring & Fall Clean Up services are designed to prepare your yard for the season to come. We take those extra outdoor “to-do” activities off of your list! 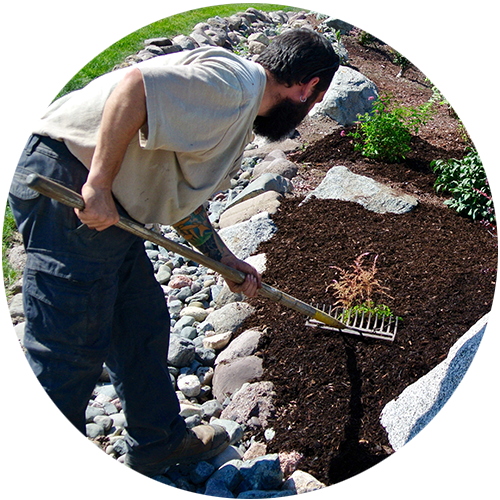 Urban Landscaping Spring & Fall Clean Up’s offer a variety of lawn and garden bed related services. A great way to kick of the spring season is a full yard clean up! We’ll take your outdoor spring cleaning off of your to-do list with our Spring Clean Up service. We will clean out debris from beds, cut back perennials, edge beds, rake thru soil/mulch and dethatch lawn. Prepare your yard for the winter season! Debris is cleared out of beds and leaves are removed from the lawn areas to reduce fungal activity and keep your property neat and tidy. Our weeding service is fully customizable for what works for your needs and budget. Select all beds or specific ones; select one time, our biweekly or monthly weeding service; select a budget and you are off to enjoy other summer activities! An application of mulch every one or two years helps keep moisture in the soil, releases nutrients for the plants as it decomposes, and reduces the amount of weed activity that takes place. 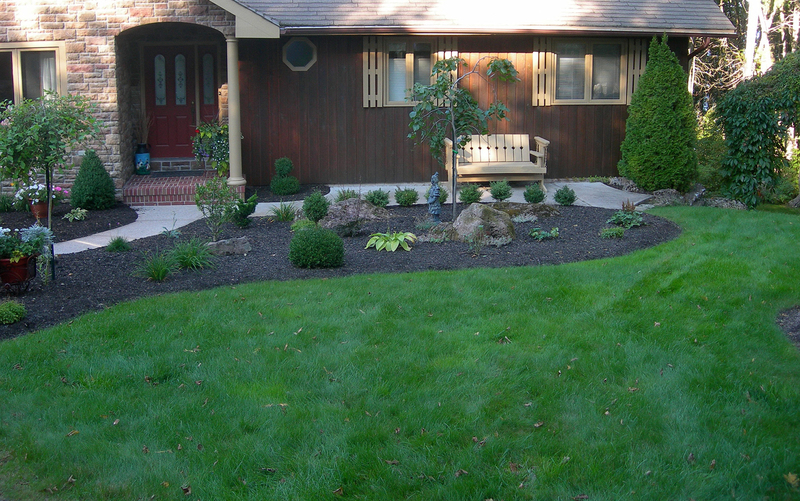 Edging is often recommended before mulching to keep a clear definition of shrub bed edges versus the lawn edges. 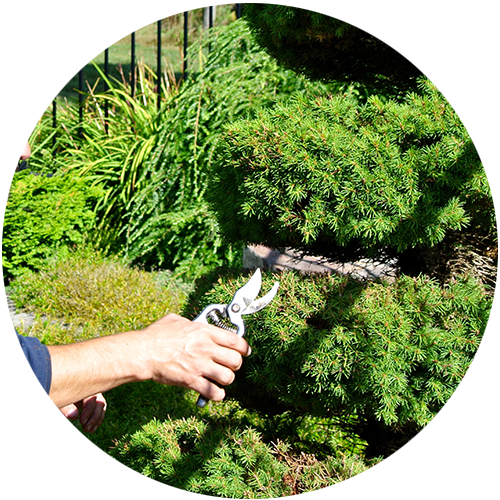 Shrub pruning is generally done mid-summer after the fresh of spring foliage growth is done. Shrubs are trimmed in a manner which maintains the slope and health of the plant. A secondary pruning in the fall can be scheduled for rapid growth shrubs (like Forsythia and honeysuckle). 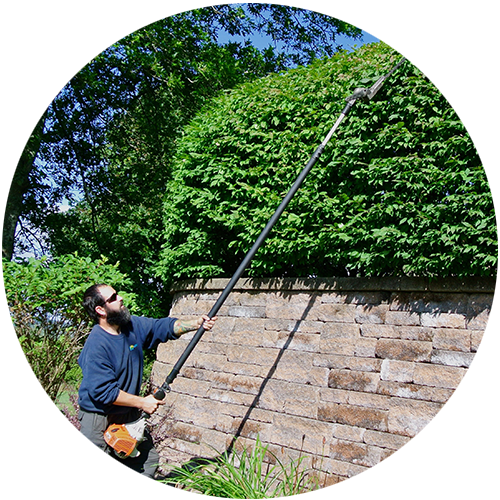 A yearly trimming of evergreen deciduous hedges can solidify the manicured appeal of any property. Mid-season trimming works wonders since most new growth is finished and the hedge will maintain its tight slope the remainder of the season. If you’re ready to create a beautiful new landscape, renovate a tired landscape, or just need help maintaining the landscape you have, we are ready to help!